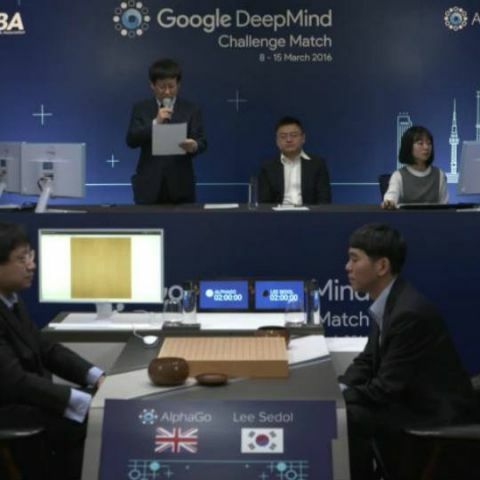 The first of the five-match DeepMind Challenge series between Google’s AI AlphaGo and world champion Lee Sedol saw the algorithm beat him in the Go board game. In a victory that will go down in the history books, Google’s Go-playing DeepMind algorithm AlphaGo defeated legendary South Korean Go-player, Lee Se-Dol. The tournament, as an exhibition of the progress of artificial intelligence, is being held in Seoul, South Korea, and will see Lee Se-Dol, a professional 9-Dan Go player, take on a program in the board game. The game lasted for about three and half hours, after which Lee resigned to give AlphaGo a historic victory and set a landmark for achievements in the field of artificial intelligence. The tournament has Lee participating for a $1 million prize, and after the first match, he expressed his surprise at the level of perfection and skill at which AlphaGo played.